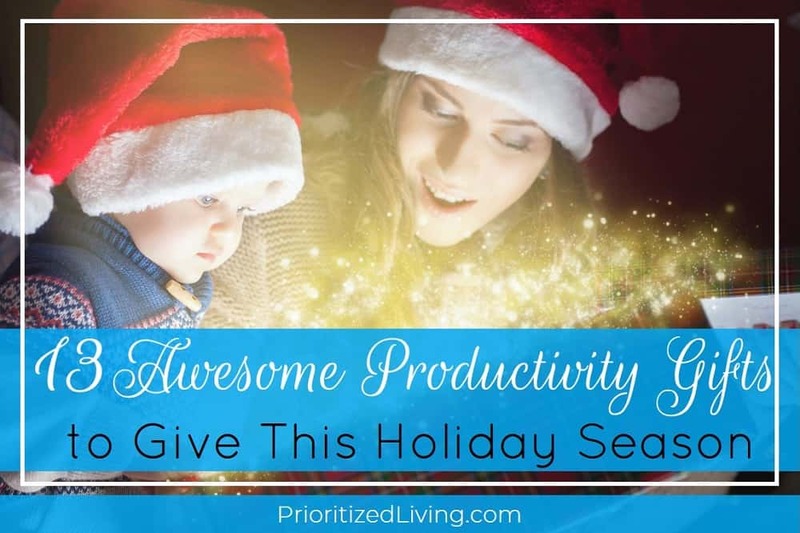 Either way, if your gift recipient loves being super-productive — or wishes that she were! 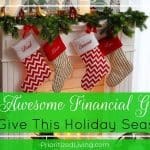 — this holiday gift guide has got you covered with awesome, budget-friendly presents. I used to hate the hassle of peeling apples. It was particularly a pain each fall when I’d go apple picking and return home ready to make apple chicken, apple pancakes, apple cakes, apple pies, and big vats of applesauce! Peeling all the apples would take foreeeever. Ugh! Then I got this apple peeler, and — I kid you not — apple peeling is actually fun now! This little gadget was a revelation. Stick on the apple, turn the crank, and — in two seconds — you have a perfectly peeled apple. Amazing. 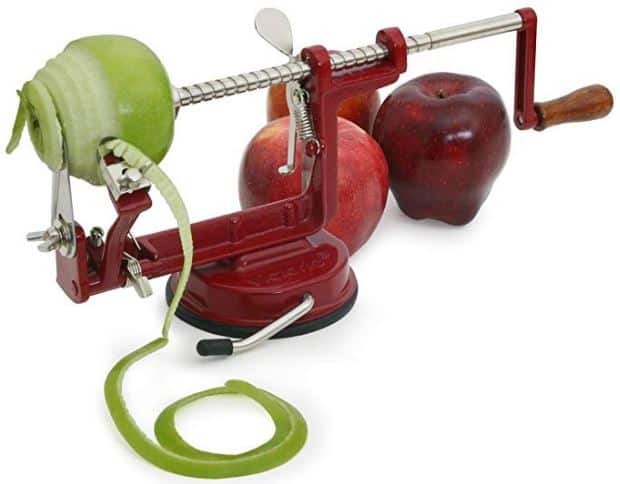 Even better, this apple peeler has extra tricks. Not only can you peel apples, but you can also slice them, core them, or do a number of those activities all at the same time. Bonus: You can use the peeler on potatoes too! Mashed potatoes just got a whole lot easier. In our home, we regularly make dishes that incorporate rice. Sometimes we go for the Rice a Roni stuff . . . sometimes the quick-cooking minute-rice for certain dishes . . . but, most often, we wind up cooking the stuff that takes a while. Things like long-grain white rice or Jasmine rice. And they are a pain to cook on the stovetop! You’ve got to babysit the rice for roughly half an hour to ensure that it doesn’t stick to the bottom, burn, or boil over. Major timesuck. I finally caved and bought this rice cooker, and I’ve never regretted it. It does all the work for me! Whether I’m making a small or large batch or rice, I simply wash the grains quickly to remove excess starch, measure in the appropriate quantity of water, and push a couple of buttons. Every single time, I get perfectly cooked, 100% fool-proof rice. There’s no scorching and no stirring required. Plus, there are settings for both white and brown rice, and you can even steam foods in the cooker. And, I love the timer feature, which allows you to set up the unit hours in advance and come home to warm, ready-to-eat rice. I make no secret of the fact that I adore my food processor. It has so many uses in the kitchen, and it’s one of the best timesavers there is. 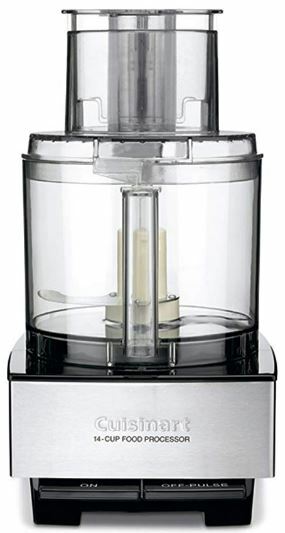 Check out the entire blog post I dedicated to the many ways a food processor can save you time — and money! — in the kitchen. In any event, coffee is now super simple to make without sucking up time in the morning or requiring a coffee run. 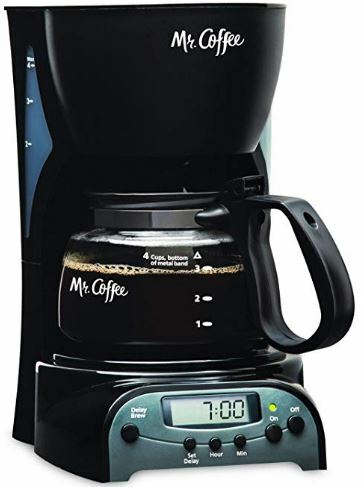 You can set up the machine easily the night before, program the coffee to start dripping when you get up, and enjoy the feature that keeps your beverage warm until you arrive. I don’t know about you, but I am busy! And — though it’s sometimes fun to make great meals that take time — the vast majority of my days benefit greatly from quick, healthy, and delicious foods. So I love cookbooks that deliver those recipes in bulk. 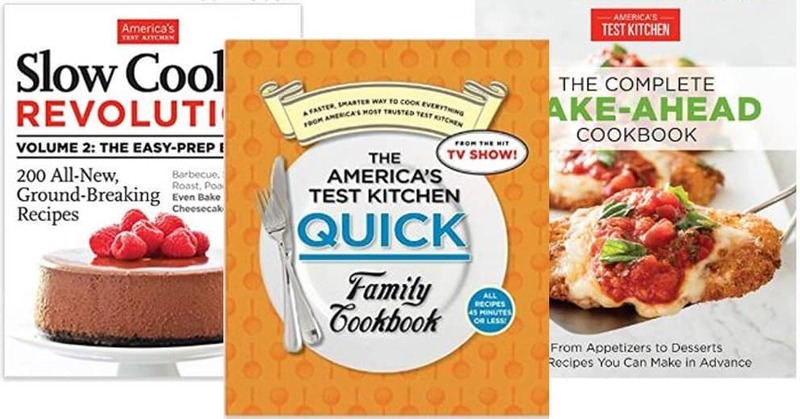 My favorite one at the moment is The America’s Test Kitchen Quick Family Cookbook — a rapid-fire cookbook for mind-blowing meals with easy-to-assemble recipes, smart time-saving techniques, and super-smart kitchen hacks. And then there’s Slow Cooker Revolution: Volume 2. Volume 2, in my opinion, is much better than Volume 1 of the slow cooker books. Volume 1 does have great recipes, but it requires you to do an awful lot of prep work before using the slow cooker. Volume 2, however, has many more dump-and-go-style recipes, which are perfect for busy women. P.S. 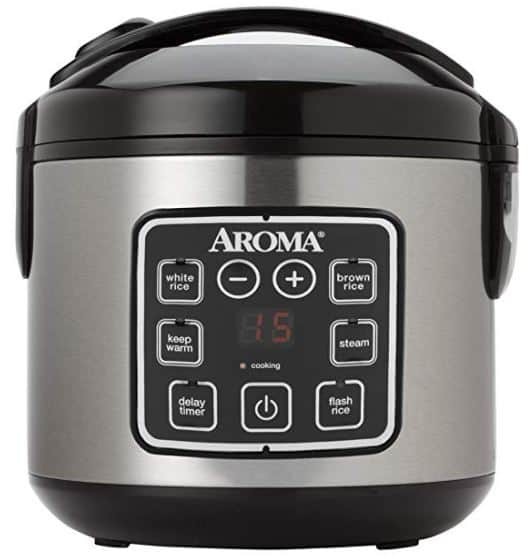 If you don’t already have a slow cooker, I highly recommend you grab or gift one of those as well! I love books! Fiction for relaxing and non-fiction for learning new skills, getting inspired, etc. But it’s hard for a lot of us to find the time to read as much as we’d like. That’s where Audible comes in. 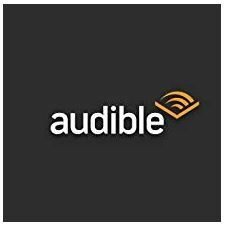 It’s an awesome audiobook service from Amazon that lets you listen to books while you’re busy doing other things — making dinner, getting ready for bed, or driving to work. I love that you can listen to audio books from any number of convenient devices. And there are so many titles from which you can choose! Plus, if you’re not happy with your selection, Audible offers a sweet exchange policy for swapping out your book. Here’s another great solution for people who want to get their reading on but struggle to find the time! 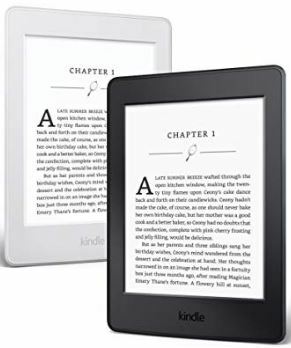 The Kindle e-Reader lets you keep an entire library of books and magazines at your fingertips. 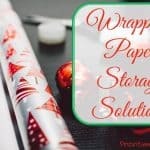 Stash it in a purse to read in a waiting room, over lunch at the office, or in a long line. Or keep it in your bedside table to make reading tons of books easy. The Kindle reduces glare in sunlight and offers adjustable lighting for nighttime reading. This handy device lets you download e-books and read them, highlight text, add bookmarks, and more. Purchase and download new books instantly, borrow from your local library’s e-book collection, or access some of the thousands of free e-books available if you’re an Amazon Prime member. 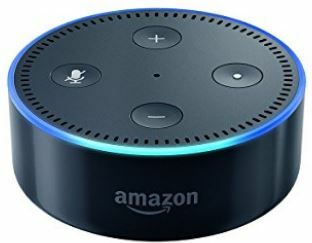 Last year, Santa gifted our family with the super-cool Amazon Echo Dot, and we’ve made Alexa part of the family! This amazing little device is a voice-activated personal assistant that does it all. She sets timers for us, plays games, answers our random questions (when the next full moon is, what actor starred in some movie, etc. ), plays tons of free music (our son’s favorite feature! ), gives us the morning traffic report, and even fulfills my desire for the occasional Star Trek joke. Tip: If you want to keep the Echo Dot off your counter and handily on the wall, I highly recommend this incredibly convenient wall holder. Okay, this gift is not cheap right off the bat. However, it absolutely saves you tons of money down the road. And it can be a great gift to give with a group. As part of our quest to avoid paying pricey cable bills, my husband and I installed an antenna in our attic several months back and bought ourselves a TiVo. I don’t think I could go back to regular old T.V. after being spoiled by this thing. 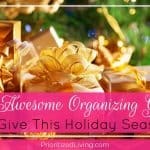 I’ve already mentioned my favorite organizing book, the brainchild of professional organizer Julie Morgenstern. 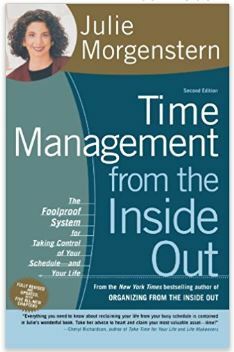 Well, she made magic again with her awesome book, Time Management from the Inside Out. This book is the primer for setting goals, estimating time, creating a time map, and maximizing your productivity with incredible time-saving techniques. Time management guru David Allen has a massive fan base . . . and for good reason. 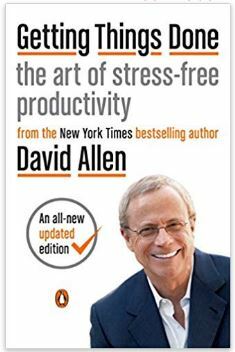 His productivity Bible, Getting Things Done: The Art of Stress-Free Productivity, introduces an incredible system for rounding up all your projects, getting them out of your head, organizing them, and getting . . . them . . . done. Check out my post about some of the great stuff this book has to offer productivity fans. 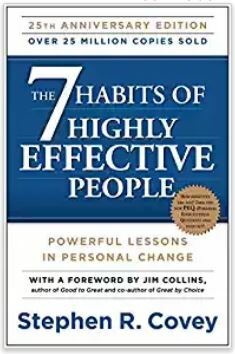 No list of productivity books would be complete without Stephen Covey’s timeless book, The 7 Habits of Highly Effective People. Loved by top executives and everyday people for decades, this inspiring book is all about practical advice. 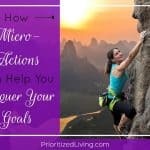 It gives you the details on how to get on top of your life, create happiness, and cultivate the most essential skills you need to be a “highly effective” person. 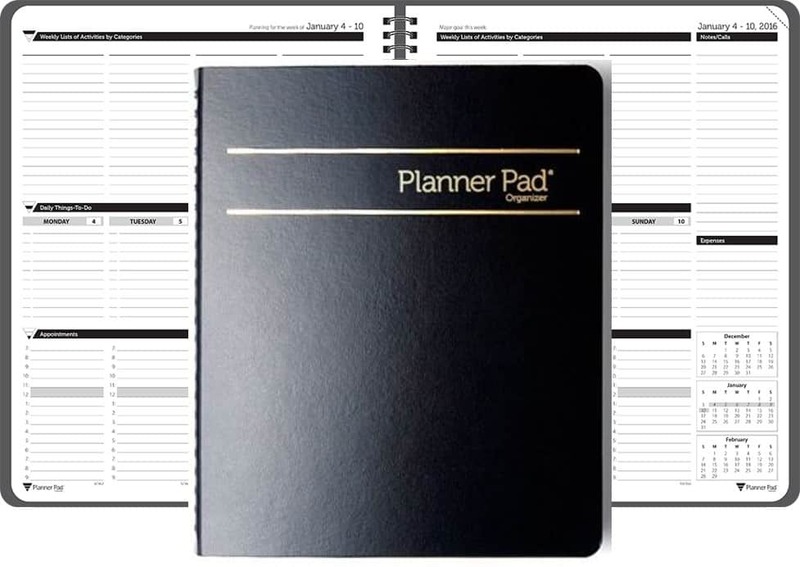 Choosing a planner can be a highly personal project. After all, a system that works for you may not fit at all with the way your loved one’s brain functions. But if you know your gift recipient inside and out — or if you’re buying for yourself — a planner can be an incredible gift. 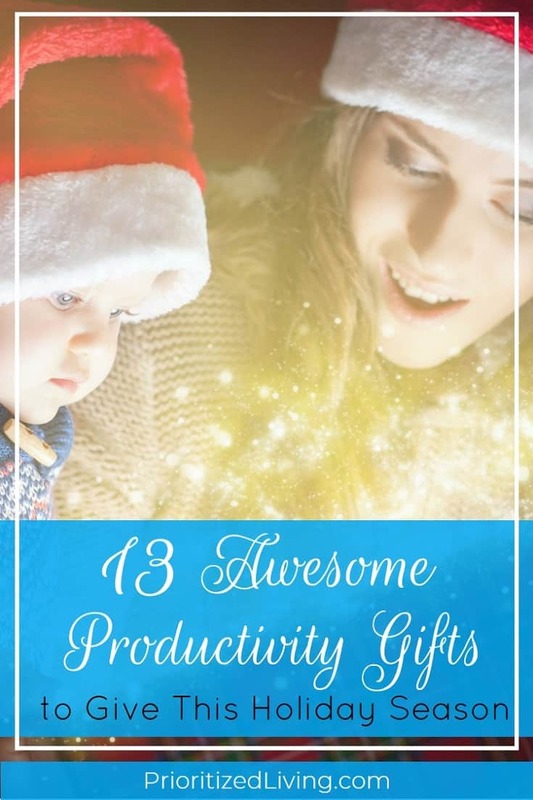 What’s your favorite productivity-themed gift to give or receive?